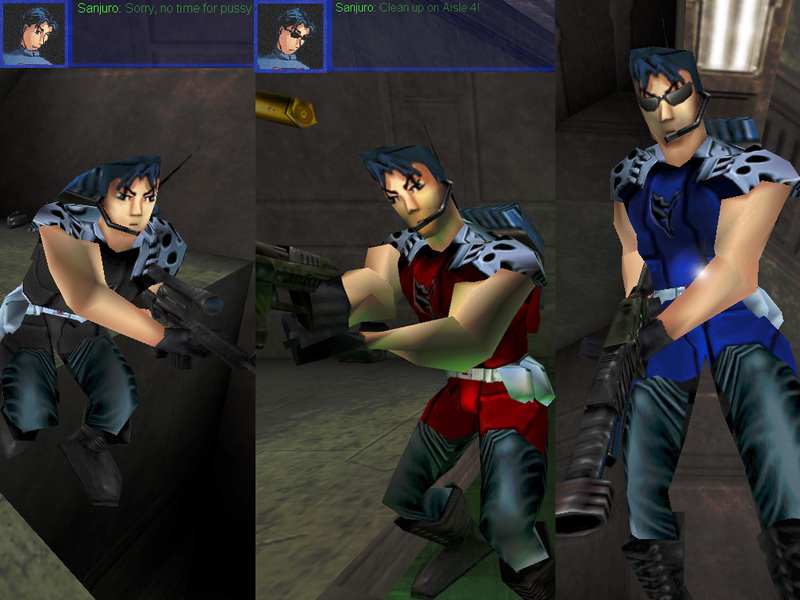 Sanjuro Skin and Voicepack for UT99 This is a skin of the character Sanjuro Makabe from the PC game Shogo:MAD by Monolith, along with a matching voicepack full of wise cracking lines from the game. The Shogo taunts are very fun and fit right at home in a UT firefight.To use, make sure your class is Male Commando, and select the skin Sanjuro. You can choose a different face to put on sunglasses and there are color uniforms for each team. To install, simply run the umod file. This will also setup bot 27 to use the skin and voicepack. If umod installing does not work, use the Paradox Productions UT registry fixer, or extract files with UMOD Browser and install manually. Long live UT99 and Shogo: Mobile Armor Division! Visit this page, it's a Shogo MOD for Unreal Tournament 2004. Any chance that you could also create a Caleb one?